It seems that Dys2 is just about ready to launch with its new set of games, following on from the original 135. These are activities to promote the integration of cognitive skill development activities within the overall teaching practice. Below is the link and the description from the web site. 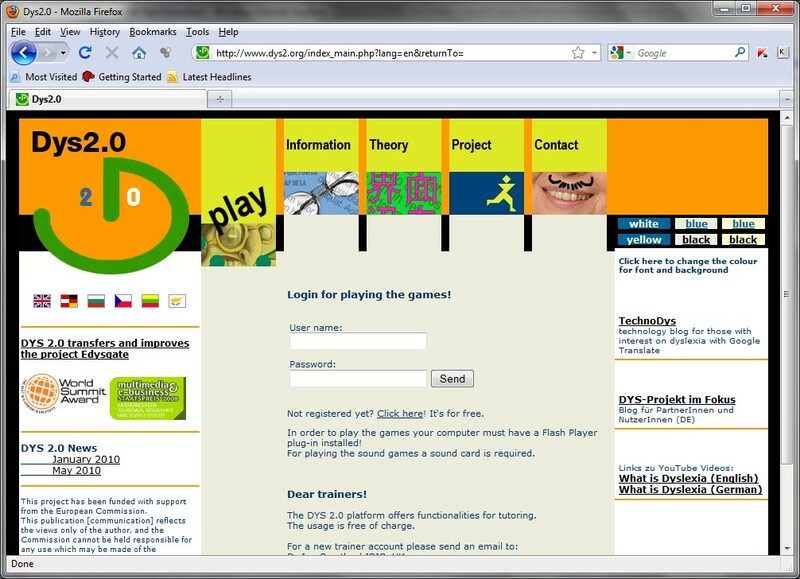 DYS 2.0 is intended for transfer and improvement of the successfully completed GRUNDTVIG project EDysgate 2006–2008. We offer here a motivating and stimulating learning environment for carefully selected range of skills known to be important to young dyslexic adults. At project's end nearly 275 learning games and a game configurator will be free of charge available in 6 languages (English, German, Bulgarian, Greek, Czech, Lithuanian). The areas are targeted through direct and indirect stimulation. The principles behind the learning games are not specific to any given language – they will work for all individuals across Europe. 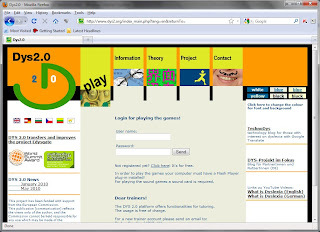 The learning games will be developed in collaboration with young dyslexic adults as well as those who train them. The target groups are: young dyslexic adults at age app 16-26, their parents and trainers specialised on dyslexia. The main purpose of using the learning games is to support the development of vocational skills and life chances of young dyslexic adults and to provide a new kind of resources to trainers.